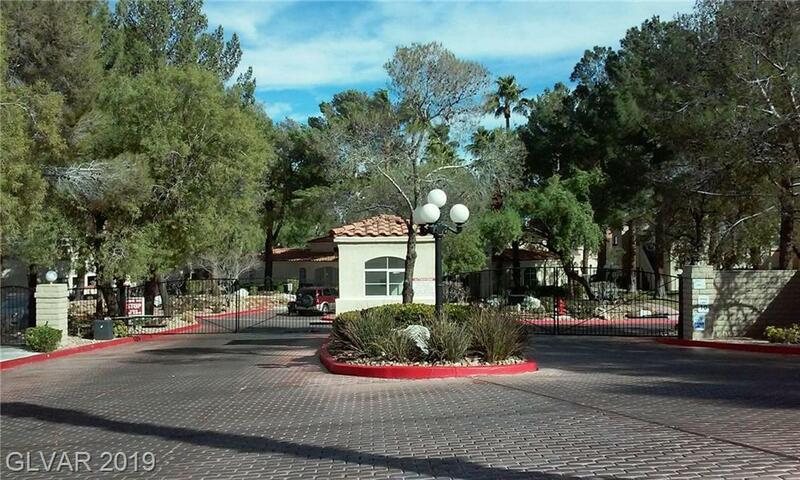 SPACIOUS upstairs 1BR condo nestled in southeast corner of lovely gated complex with lots of trees. Unit features gas fireplace, balcony, large living room, and separate dining room with views! Your amenities include: POOL, SPA, fitness center & plenty of guest parking. Location Location Location. Boca Park, Summerlin Parkway and Angel Park are close by. Directions: From Charleston & Durango, Go North On Durango, After Boseck, Turn Right Into Indian Wells.